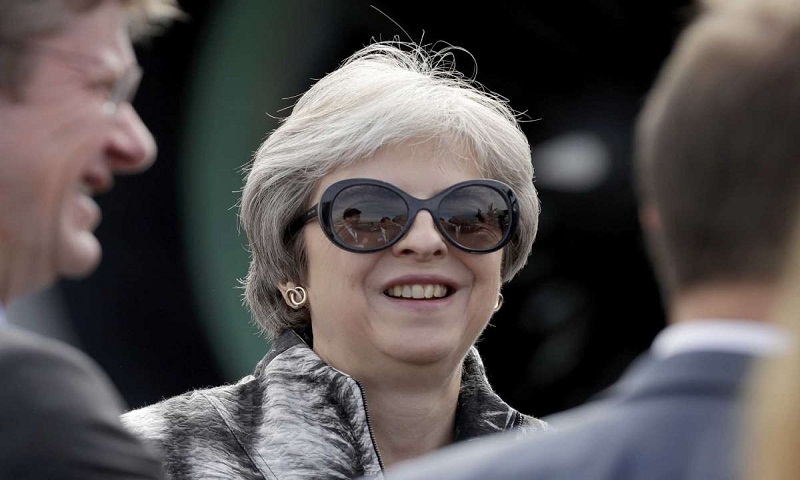 British Prime Minister Theresa May on Monday accepted amendments to a customs bill put forward by Brexit hardliners who oppose her plan for a "common rule book" with the European Union after the country leaves the bloc. The government avoided what would have been an embarrassing defeat, but the razor-thin margin reveals the fragility of May's support as she tries to find a way to move the complex Brexit process forward. A Downing Street spokesman said the government accepted the amendments because it sees them as consistent with the prime minister's plan as set out in a formal white paper last week. However, critics said May had caved in to pressure from Brexit supporters who want a complete break with Europe. They said the changes would greatly limit May's ability to move forward with the plan that prompted two hardliners in her Cabinet to resign in protest last week — and fresh resignations of lesser figures Monday. The amendments seek to limit the government's ability to set up the customs arrangements May has advocated, which would keep close ties to Europe. They were proposed by the European Research Group, the research arm of May's Conservative Party which is headed by lawmaker Jacob Rees-Mogg. Another Conservative Party legislator, Anna Soubry, who opposes the "hard" Brexit that would see Britain leave the EU without a trade deal in place, said the government's acceptance of the four amendments mean that Rees-Mogg is now effectively "running Britain." May also came under fire Monday from a former Cabinet minister who called for a new Brexit referendum, an idea immediately rejected by the prime minister's team. Former Education Secretary Justine Greening, also a Conservative, said the U.K. Parliament was "gridlocked" over the divisive issue. She said she and other senior Tory lawmakers favor a new vote. Greening said she would campaign to keep Britain in the EU, if a new referendum were held. The day's developments heaped additional pressure on the beleaguered May, whose party is deeply split and does not enjoy majority control in Parliament. Her recent white paper outlining plans for a common rule book with the EU over trade in goods has infuriated those who favor a complete break even if it risks causing an economic shock. May defended her plan as she opened the Farnborough International Airshow. She said it would safeguard vital jobs in the aviation industry and keep Britain's tradition as a nation in the forefront of the aviation industry. The issue is sensitive because Airbus signaled in June that it would have to consider its long-term plans for Britain if there is no Brexit deal. May said the plan outlined in the white paper honors the wishes of British voters — who in June 2016 backed Brexit with 52 percent of the vote — while protecting industry and national security. May's authority has been weakened with the resignations of major figures Boris Johnson and David Davis and a series of lesser officials who disagree with her Brexit plan. The skirmishes are expected to continue Tuesday when a different trade bill is debated. There is also a move for Parliament to begin its summer recess several days early in a bid to curtail the chaos of recent weeks.